There's something just so much better about eating from a hole-in-the-wall type of place. The small businesses in a community are what make an area better. Who needs more corporate establishments around when you can come into a place and watch them making all of the food from scratch? What's out for the day is what was made for the day. 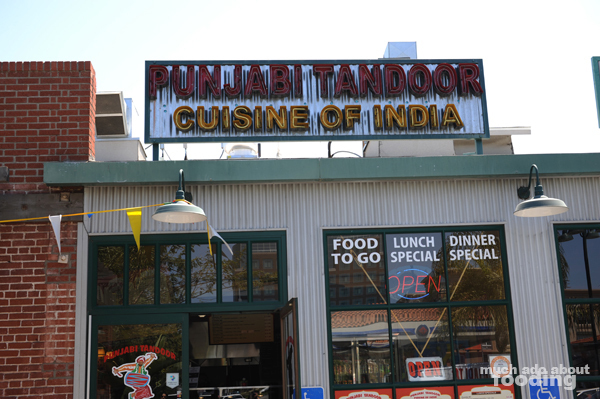 I have been meaning to come to Punjabi Tandoor for a while now but that list of places to eat at is long; finally, a friend of mine took me along since this is her go-to Indian food joint. When we arrived, my first thought was, "oh THIS is where it is!" I wouldn't have found it easily by myself I don't think. Walking in, the serving area is similar to a cafeteria setting with the food resting in metal pans behind a glass display. The dining area inside was full of chairs and tables, simple but ready for a quick bite. We opted for some of their lunch combination specials. 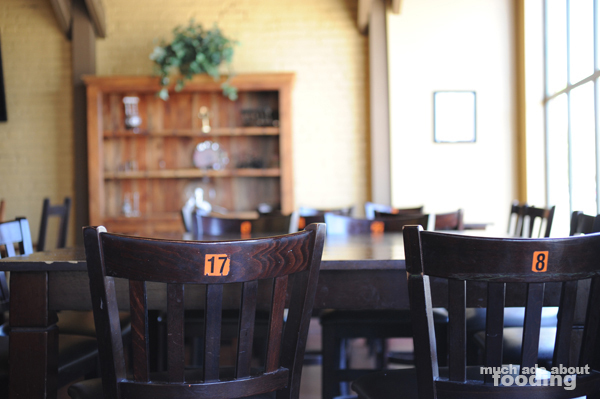 Eating here will run you under $10 for a lunch (perfect!) and get you some pretty rad food. Usually when I eat out at an Indian restaurant, I go for the same dishes but Punjabi Tandoor had tempting options all laid out for me to see. The woman serving explained each to us since they don't have signage (again, what they make for the day is what is out). I went for their Chicken Makhani which some of you might know as Butter Chicken. 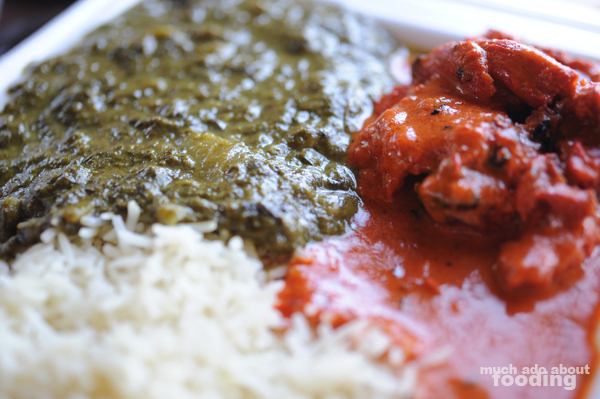 Paired with it was a healthy heaping of saag, yum yum. The sauce was very rich but not too heavy. I loved how juicy the chicken was even beneath the sauce. 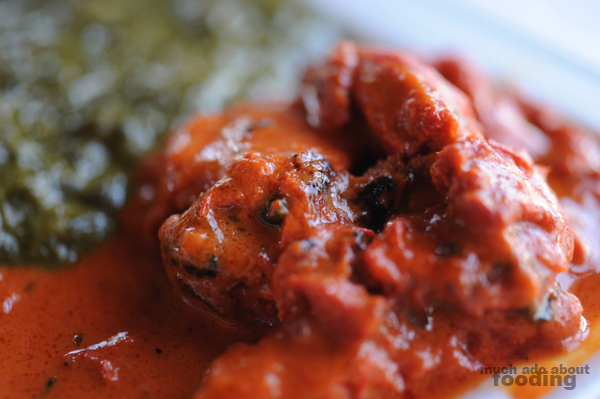 The aroma of the spices was heavenly, and the saag was nicely spiced but not too spicy as some places tend to have them. I really liked my choices. My friend's plate had a Vegetable Curry (Navratan Korma) and Chicken Tikka (the lightest colored one I've ever seen). I got to taste a bit of both but since the two flowed together so seamlessly on her plate in their similar colors, I don't want to comment on how each individual dish tasted as they probably mixed a bit. The result was still delicious however. 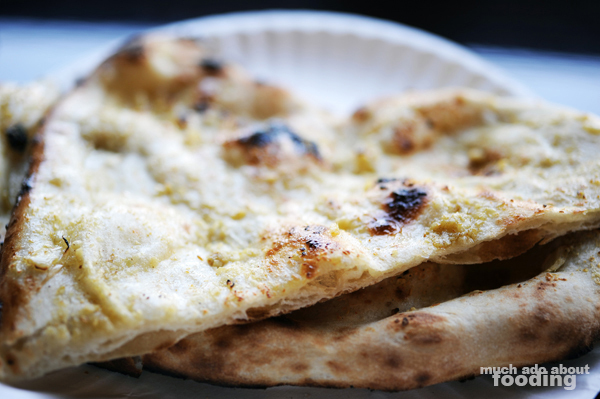 We also got their garlic naan which was a wide portion that I couldn't capture adequately in my camera's frame. It was great hot but a bit thinner than naan that I've seen elsewhere. I like them thicker to help sop up curry with. Overall, however, a tasty place that I'll have to revisit, especially since I saw that they carried Xing tea in their drink selection! I love hole in the wall places! I really want to try learning to cook bagain bharta that's my favorite!! I have even gotten the hubby on board with Indian food! 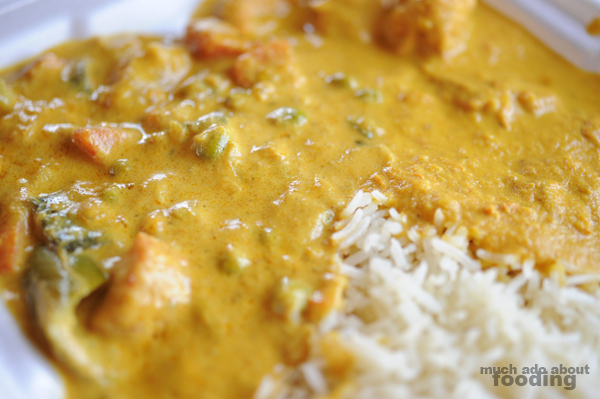 Indian food is something I really need to start cooking. I love it so much!